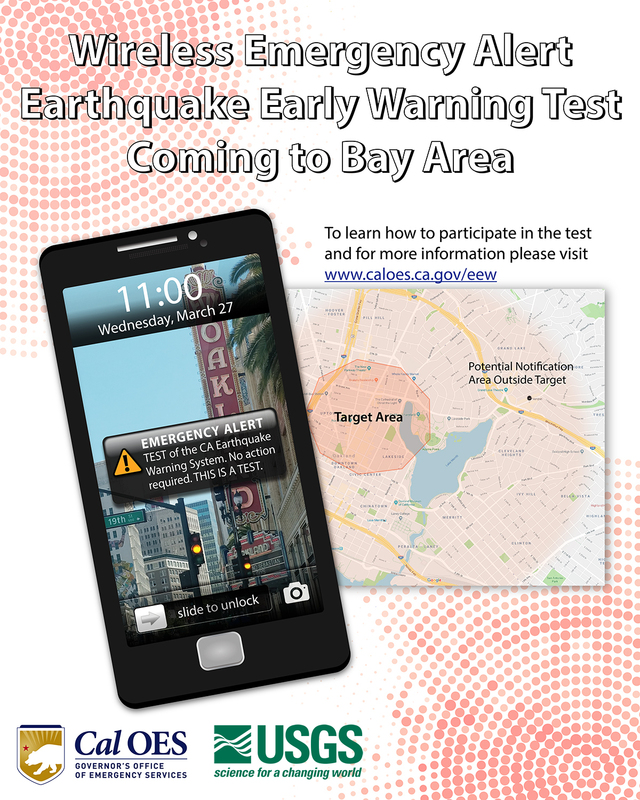 A test for sending out earthquake alerts to cell phones will be conducted at 11 a.m. Wednesday in and around downtown Oakland. This test of the Wireless Emergency Alert system is being coordinated by the state Office of Emergency Services and the United States Geological Survey, in partnership with the City of Oakland and Alameda County. Using current geofencing technology, this test will target cell phones within an area of approximately 60 square blocks west of Lake Merritt in downtown Oakland. However, because of limitations with the technology, some people outside the target area may receive the alert, too.